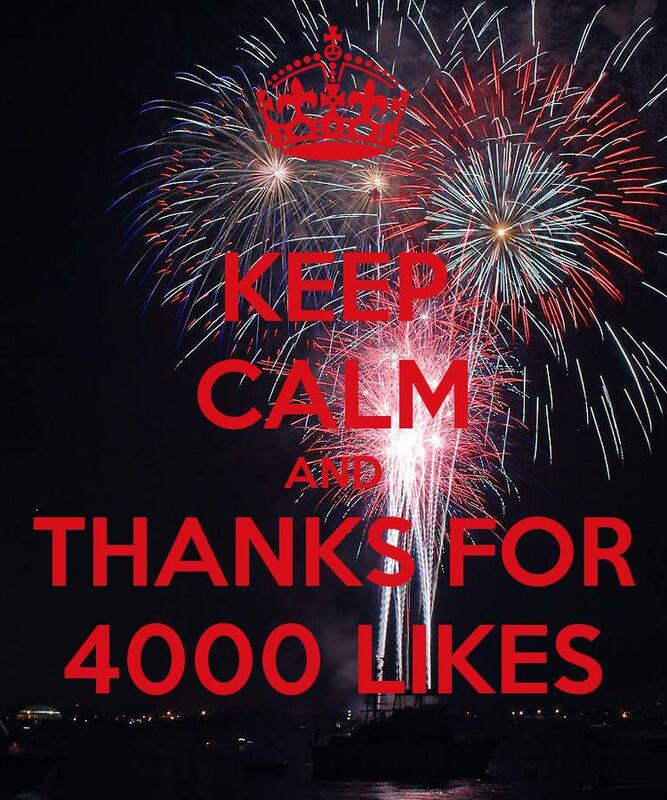 4,000 Likes on Facebook! ASF Thanks You! In celebration of 4,000 likes on Facebook, all of us at ASF would like to thank you for your continued support this year. What a delightful way to end 2014 and ring in the New Year! 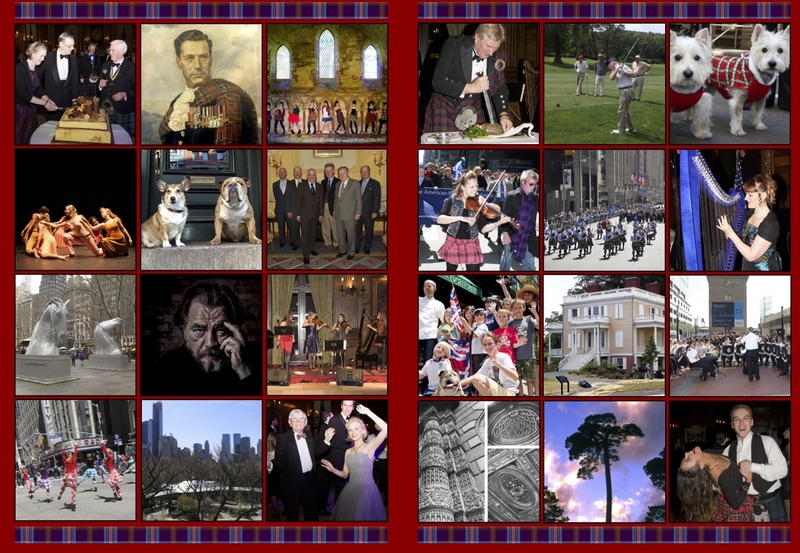 As we approach 2015, we look forward to another incredible year of community and events, from our Burns Night Celebration Dinner on January 16 to the New York Tartan Day Parade on April 11, along with many more events and partner events throughout the year. Stay up-to-date on ASF’s goings-on via our website and Facebook events page. This entry was posted in ASF Events, News and tagged Burns Night, Tartan Day Parade on December 30, 2014 by Sara Heegaard. 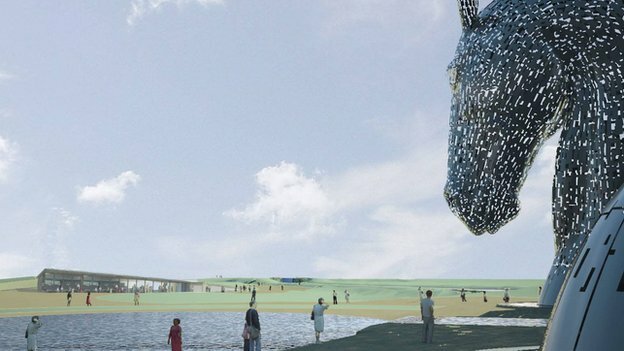 Starting January 12, 2015, a £1.45m visitor’s centre at Falkirk’s Helix Park will begin construction near the park’s famous Kelpies, reports BBC News. The visitor’s centre was designed by Dundee architects Nicol Russel Studios following an international design competition, and will include many new additions, such as a restaurant, shopping area, visitor information and facilities, and an audio-visual experience. The iconic sculptures are a high priority in the design of the new centre, and visitors’ views of the Kelpies will be preserved and uninterrupted. The new centre is designed to blend into the landscape around it using grass mounds and landscaped roof panes. Park officials have estimated that 800,000 people have visited the site since the Kelpies opened in April – not including the traveling, 1:10 scale Kelpies Maquettes, which visited New York City’s Bryant Park last spring. It is expected that the new centre should open in late summer 2015, according to culture, leisure and tourism spokesman Adrian Mahoney. This entry was posted in Associate Events and tagged Falkirk, Helix Park, Kelpies, Kelpies Maquettes, Nicol Russel Studios on December 30, 2014 by Sara Heegaard. Burns Night is Approaching… Join Us in a Record-Breaking Song! 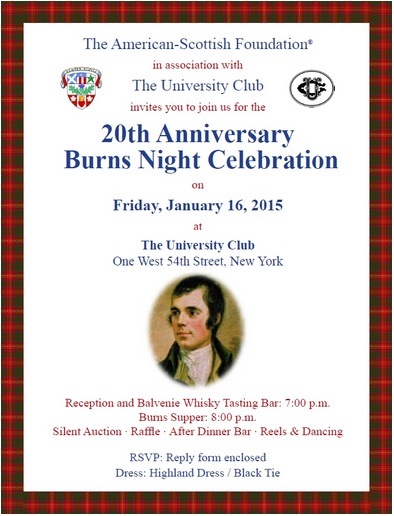 On Friday, January 16, 2015, the American-Scottish Foundation invites members and friends to join for the 20th annual Burns Night celebration, held in association with the University Club, New York. Join us as we honor and celebrate Scotland’s national bard, Robert Burns, in words and music. Save the date! Reserve your tickets for a wonderful evening in true Scottish style and tradition! In celebration of Burns Night, AboutScotland is trying to break the Guinness World Record for the biggest version of people singing Robert Burns’s most famous poem, ‘Auld Lang Syne‘ – and they’d love your help! To join us in contributing to their video compilation, visit Scotland.org’s website to hear Whisky Kiss’s recording of the song, get a feel for the tempo, download an audio track of background music, and learn the lyrics. Then, record a video of yourself or friends singing the lyrics with the provided background music and send it in before January 10! Submission instructions can be found on their website above. We hope you’ll join us in attempting to break this world record and honor Robert Burns in true Scottish style! This entry was posted in ASF Events, Associate Events and tagged AboutScotland, Auld Lang Syne, Burns Night, Guinness World Record, Robert Burns on December 30, 2014 by Sara Heegaard. 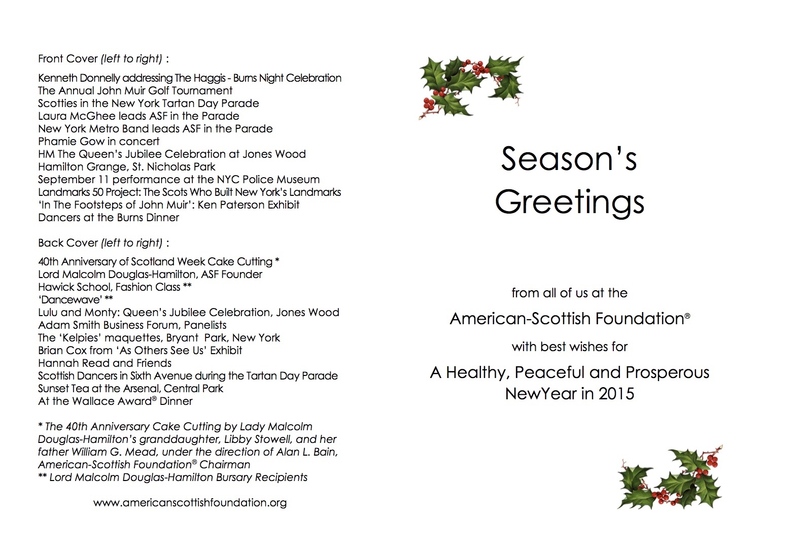 Season’s Greetings from the American Scottish Foundation! We wish you good tidings at this time of celebration, and a Hogmanay worthy of the New Year! Click here if you wish to download our holiday card or view a larger version! This entry was posted in ASF Events and tagged ASF Christmas Card 2014 on December 18, 2014 by Sara Heegaard. On December 13th, 14th, 20th, and 21st, delight in Christmas celebrations at the Kelpies at Grangemouth! The iconic sculptures are featuring a floating pop-up shop at The Horsebox just in time for the holiday festivities. Based on a barge, the shop showcases a variety of Scottish Canals‘ products, works from local artists and designers, and Christmas gifts of all kinds. Visitors can enjoy mince pies, mulled wine, artisan ice cream, hot chocolate, and other treats from the nearby Horsebox Café as they delight in the holiday scene. Don’t miss this opportunity to visit one of Scotland’s quintessential sights in a spectacularly festive light! This entry was posted in Associate Events and tagged Grangemouth, Kelpies, Scottish Canals on December 18, 2014 by Sara Heegaard. 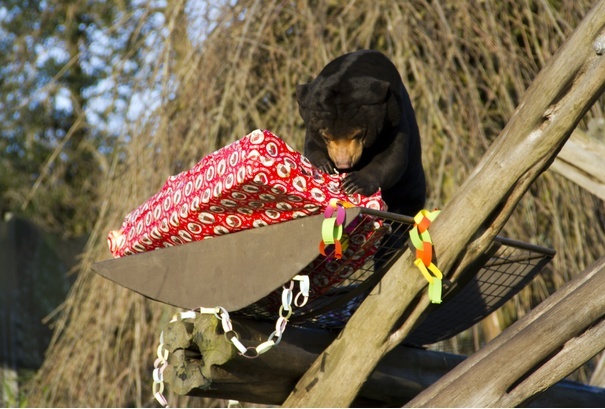 Edinburgh Zoo celebrated Christmas early this year when Santa Claus himself flew in and delivered special treats to the animals! Lucky lemurs and sun bears were treated to some special meats, nuts, and berries in celebration of the holidays – and the photos are absolutely delightful. 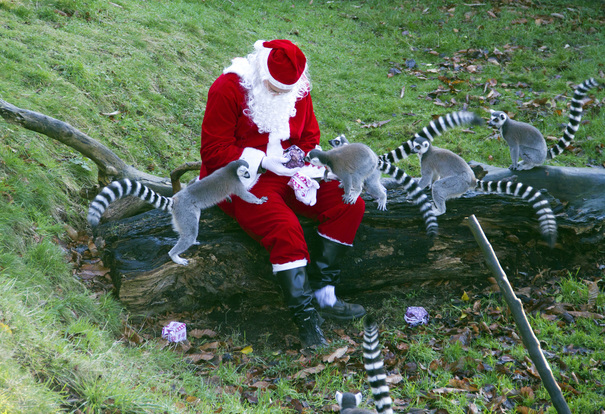 “Celebrating holidays with the animals is a fantastic way to think creatively about the enrichment we give to them,” said Jo Elliott, Animal Collections Manager at Edinburgh Zoo, said of Mr. Claus’s visit. The holiday celebrations didn’t stop there. The Zoo’s giant panda and one of its most famous residents, Tian Tian, received a special treat of his own: a special Christmas panda cake! Baked specially by panda keeper Alison Maclean, the cake is formed into the shape of a Christmas tree and drizzled with honey. The secret recipe, gifted from the Zoo’s Chinese colleagues, and is not only a panda favorite, but is also nutritious. Edinburgh Zoo is home to the UK’s only giant pandas, Tian Tian and Yang Guang, who have been living at the Zoo since 2011 and are part of the Royal Zoological Society of Scotland’s ten year giant panda partnership with China. The partnership supports the reintroduction of giant pandas into the wild alongside a host of other education and conservation programs in the UK and China. This entry was posted in Associate Events and tagged Edinburgh Zoo on December 18, 2014 by Sara Heegaard. From New York to Glasgow, December is already off to a festive start, with holiday celebrations of all kinds in full swing! From creative spins on traditional carols to charitable events with a Christmas twist, this season will have you smiling no matter the city you’re in. On Sunday, December 7, Glasgow’s streets were filled with Santas as thousands of runners donned their sneakers and red suits to raise money for charity as part of the Glasgow Santa Dash 2014. Proceeds from the 5k run benefitted the Sunday Mail Centenary Fund, which in turn helped raise money for 17 excellent causes, including the Prince and Princess of Wales Hospice, CHAS, Shelter and Calum’s Cabin. Over 3,700 runners were in attendance, offering their support for the festive fundraiser. This entry was posted in Associate Events and tagged 11 Pipers Piping, 12 Days of Christmas, Nassau County Firefighters Pipes & Drums, Santa Dash 2014 on December 9, 2014 by Sara Heegaard. On Saturday, December 6, the American-Scottish Foundation was preceded by the 84th Regiment of Foot Royal Highland Emigrants at the 44th annual Alexandria Scottish Christmas Walk Weekend. The parade, which winds its way through the historic streets of Old Town Alexandria, was quite a success. As ASF made its way down the city’s charming avenues, the Regiment took position at the front of the parade and ceremonially fired their muskets to the delight of those lining the parade route. The festival was hosted by The Campagna Center, with proceeds benefitted their six educational programs. Made possible with the help of partnerships with The Scottish Government, The Saint Andrew’s Society of Washington, D.C. and the City of Alexandria, the weekend was a roaring success. Besides the parade, it featured a variety of festivities that celebrated the rich Scottish heritage of the area, including Scotch tastings, historic tours, and holiday markets. What a weekend they put together. The American Scottish Foundation plans to be in attendance again at next year’s festivities! Below, watch and listen to the Shamrock and Thistle Pipes and Drums at the parade! This entry was posted in Associate Events and tagged 84th Regiment of Foot Royal Highland Emigrants, Alexandria Scottish Christmas Walk, Old Town Alexandria, The Campagna Center, The Saint Andrew's Society of Washington DC on December 9, 2014 by Camilla Hellman. In what has become a firm holiday favorite, The Pipes of Christmas concert series will celebrate its sixteenth season with performances in New York and New Jersey this December. The concert presents the music of Christmas accompanied by readings taken from the Celtic literature of Scotland, Ireland, and Wales. Featured performers include James Robinson from the film “Braveheart,” New England fiddle champion Paul Woodiel, “Riverdance” uilleann piper and flutist Christopher Layer, Gaelic Mod champion harpist Jennifer Port of Golspie, Scotland, and the Pipe Major Kevin Ray Blandford Memorial Pipe Band from Redlands, CA. Additional performance in Summit, New Jersey (2 block from NJ Transit rail station) on Sunday, Dec. 21 – advance sale/mail order only. This entry was posted in Associate Events on December 3, 2014 by Mark Beaumont. On Wednesday, December 3 at 7pm, join ASF members and friends and ring in the holiday season at the Jones Wood Foundry’s Annual Christmas Tree Lighting at 401 East 76th Street, New York. Celebrate the holidays with a festive ceremony, and afterwards enjoy mulled wine and hors d’oeuvre with excellent company! In past years, the event has been profiled by the New York Times and CBS New York. Don’t miss out on this lovely holiday opportunity! For more information, visit our event page on Facebook. We hope to see you there! This entry was posted in ASF Events and tagged Christmas Tree Lighting, Jones Wood Foundry on December 2, 2014 by Camilla Hellman.